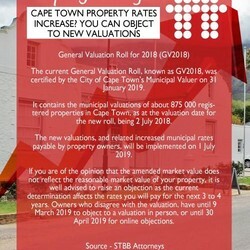 The current General Valuation Roll, known as GV2018, was certified by the City of Cape Town's Municipal Valuer on 31 January 2019. 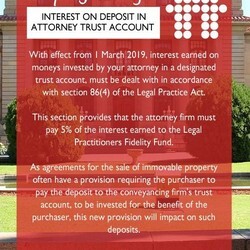 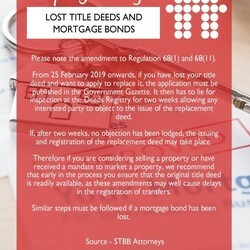 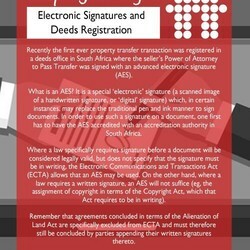 From 25 February 2019 onwards, if you have lost your title deed and want to apply to replace it, the application must be published in the Government Gazette. 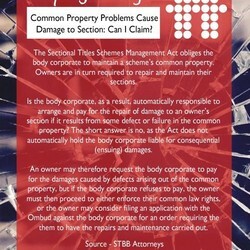 Common Property Problems Cause Damage To Section: Can I Claim? 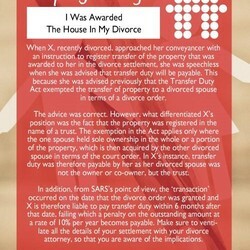 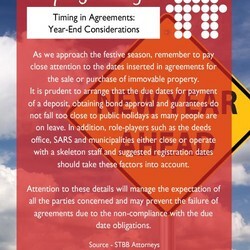 I Was Awarded The House In My Divorce But Now Need To Pay Transfer Duties? 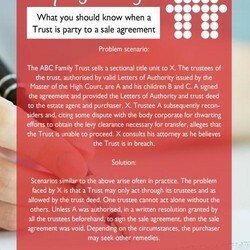 The ABC Family Trust sells a sectional title unit to X. 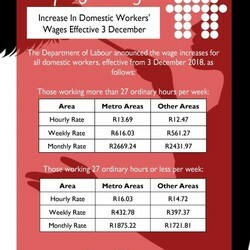 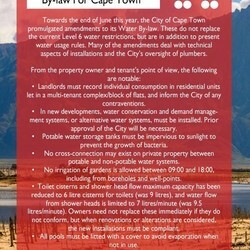 Towards the end of June this year, the City of Cape Town promulgated amendments to its Water By-law.